Today marks another holiday known as Squirrel Appreciation Day. 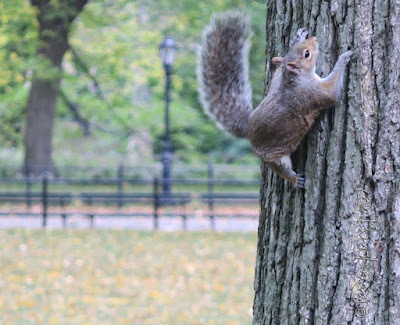 According to Holiday Insights (HI) this day "is an opportunity to enjoy and appreciate your tree climbing, nut gathering neighborhood squirrels. (And) It's held in mid-winter when food sources are scarce for squirrels and other wildlife." HI admits that "Not everyone likes squirrels. While they are fun to watch skirting around the yard and trees, they are aggressive at bird feeders. Squirrels tip almost any bird feeder and spill the seeds in search of the particular seeds they want." 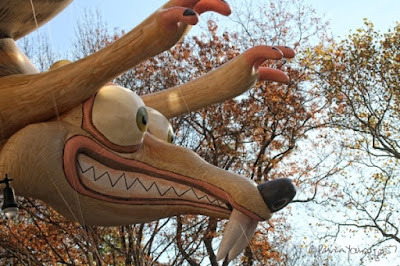 This is evidenced in the Mutts comic strip posted atop this blog entry. However, even though squirrels empty bird feeders and ultimately bury some of the food they get from them, they do not always remember where they have buried the nourishment that they've aquired. 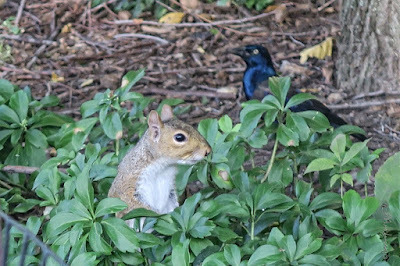 According to Living in Harmony With Squirrels, Living In harmony With Wildlife, "because squirrels often fail to reclaim the buried food, abandoned seeds and nuts often take root, establishing trees and other plants in new locations. Thus, squirrels play a vital role in sustaining and expanding plant communities and ecosystems. 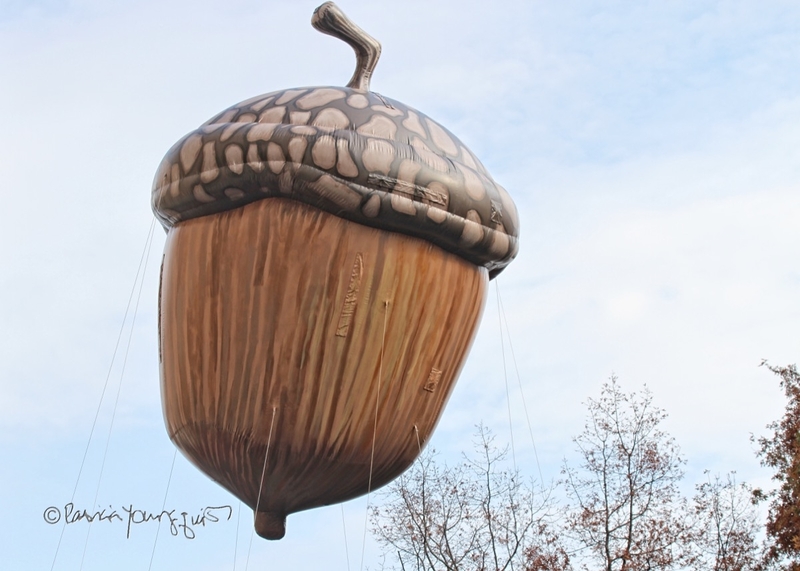 Just imagine how many trees have sprouted because of squirrels’ short memories." This fact is also documented in a Mutts comic strip that can be seen below. 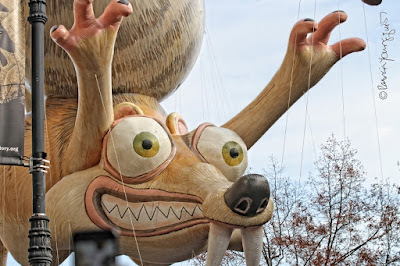 Mutts is not the only venue that renders its characters in the likeness of squirrels and acorns, they have also been represented in balloon format (Scrat Chasing Acorn), for The Macy's Thanksgiving Day Parade in NYC. The following are few pictures featuring details of this particular creation. 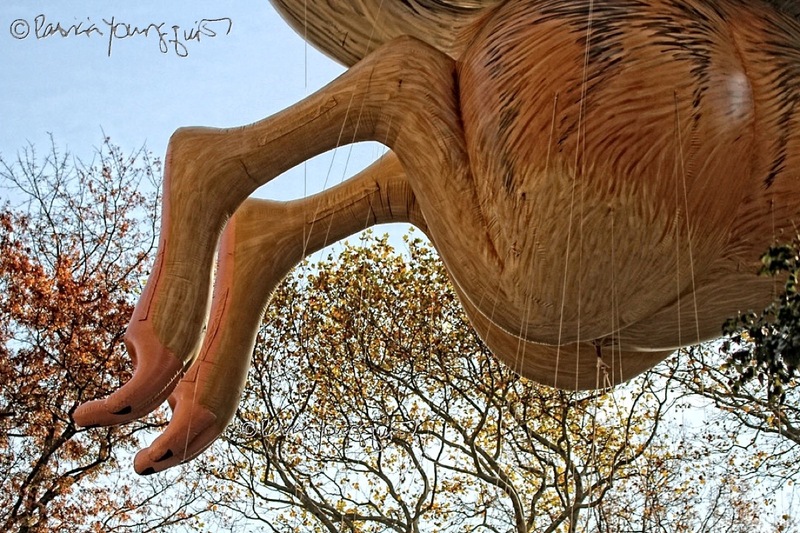 All of these photos of details re the Scrat Chasing Acorn Macy's balloon were taken in this manner to give you an idea of the ballon's massive size! I've digressed! Getting back to squirrels on this Squirrel Appreciation Day, I have enjoyed observing them in both Central Park and Riverside Park; and have many photos within this blog that are evidence of this fact! 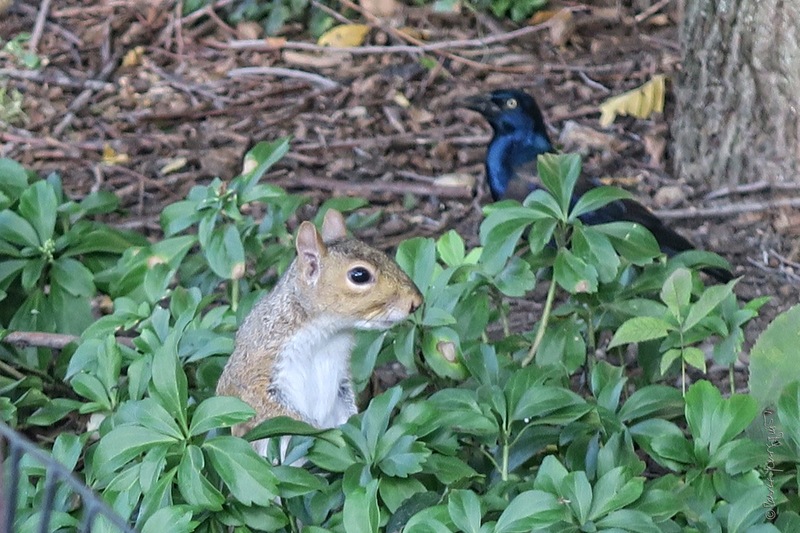 I think common grackles also like to observe this creature, which you might also surmise from the following picture. And I'll leave you with this thought and with the hope that you get an opportunity to appreciate squirrels on this holiday; for as HI reminds us, "mid winter is the best time to appreciate squirrels. In the winter they provide a little entertainment. During other times of the year, you may look at them as a pest in the flower and vegetable gardens." But if you do go somewhere to observe them on this day, please keep in mind HI's sensibility re this creature: "the variety of food is limited (at this time year). So, give them an extra special treat today to supplement their winter diets."